We are now open 7 days a week for both Lunch/Brunch and Dinner. 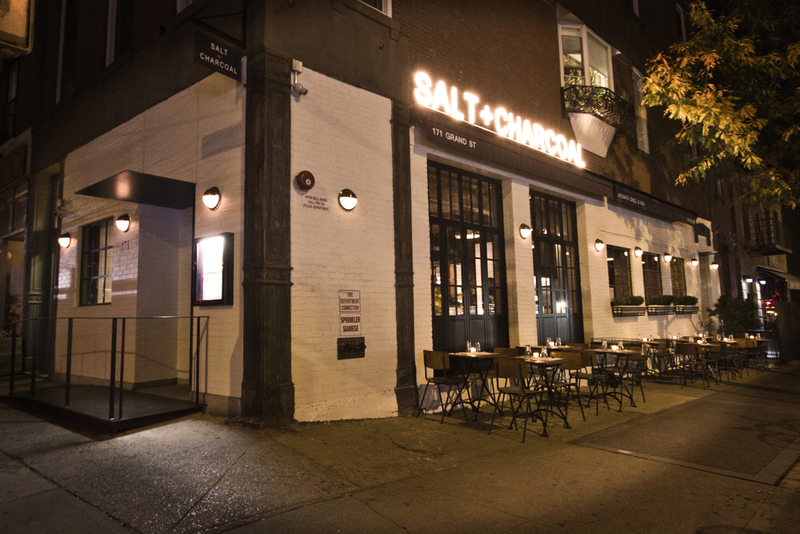 Salt + Charcoal is Williamsburg’s one of a kind Japanese Grill, located in the heart of Williamsburg. Preparation of our signature steaks start with our chef, Tadaaki Ishizaki (formerly at Michelin 3 Star restaurant, Joel Robuchon Tokyo) hand selecting each piece of prime USDA beef at the purveyor. It is then dry aged for 28 days before charcoal-grilling using our unique crank grill. The result is a super tender steak with all of the umami trapped inside. We also have a wide selection of seafood, a raw bar, and Japanese inspired appetizers. Our full bar features original cocktails crafted by award winning mixologists and a variety of Japanese spirits, and wines specially crafted to pair with our food offerings. Executive Chef Tadaaki Ishizaki is one of Japan’s preeminent leaders when it comes to Charcoal Grilled Dry Aged Beef. He has studied the technique in New York and France and was one of the pioneers that brought the method to Japan. But, Ishizaki did not stop at just bringing a foreign culinary technique to his home country. As one of the original members of the Japan Dry Aging Beef Promotion Board, he has continued to perfect the process through years of extensive research based on scientifically proven methods. He has spent years improving the unique cooking method, all while teaching at culinary academies and serving as a judge at numerous industry hosted dry aged beef competitions. Our Charcoal Grilled 50 Day Dry Aged Steaks all started with chef Ishizaki cultivating relationships in the industry and personally inspecting packing facilities in Chicago. Every week, chef Ishizaki personally selects the beef to be delivered to Salt + Charcoal to ensure that we provide only the best in quality. Chef Ishizaki’s expertise is not only limited to beef. He has constantly been refining his skills through his career at many high end establishments, including a three star Michellin French restaurant where he honed his skills in poisson, and entrée froides. Perfection in Japanese cuisine and extreme attention to detail comes naturally to him, and all of chef Ishizaki’s culinary expertise unite at Salt + Charcoal. Our main dining floor has a full bar, booth seating, and counter seating which offers a great view of our open kitchen and charcoal pit. 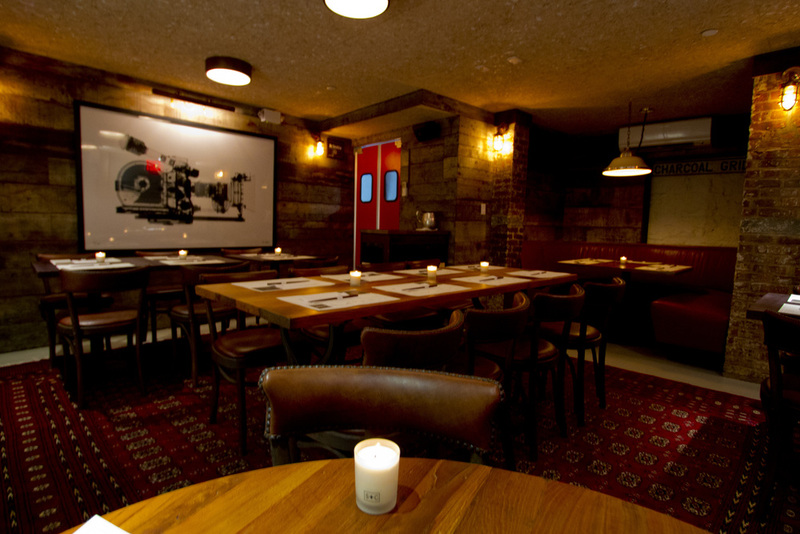 Our lower level dining area is open on weekends, and is also available for parties and special occasions.